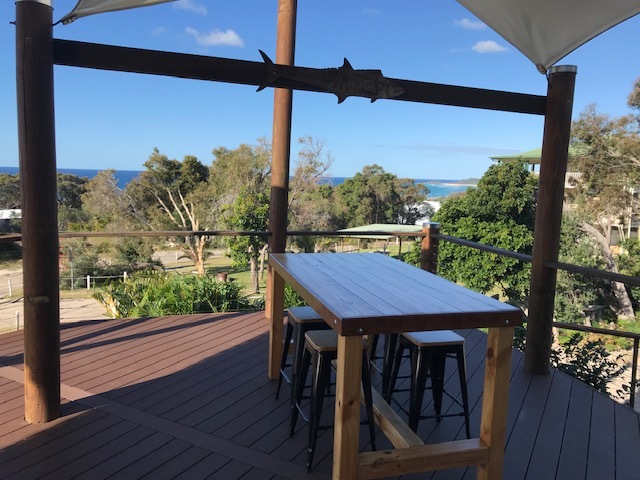 Relax and enjoy simple, practical living with gentle sea breezes on Orchid Beach, Fraser Island. Remembering that we are on a World Heritage site we are very aware of conserving and preserving our natural resources. Our Property Managers Alice and Bill Wilson live at Orchid Beach and trade as Fraser Island Holiday Rentals. Fraser Island is the largest sand island in the world stretching 123 km long and covering an area of 163,000 km. The Aboriginal name for the island was K’gari which means “Paradise”. Fraser Island was heritage listed in December 1992. The Sands is situated in the township of Orchid Beach and is the most northern town on the island. From the Inskip Barge it is a drive on the eastern beach passing beautiful scenery including Eli Creek, the Pinnacles, Champagne Pools and Indian Head. If you are travelling from Hervey Bay you can catch the River Heads Ferry to Wanggoolba Creek. You then drive through beautiful rainforest from the western beach and arrive at Eurong on the eastern beach.